Your first stop is the beautiful Silver Bay. You might get lucky enough to see whales, sea otters and other wildlife that inhabit the area. It’s a stunning stop for family photos. 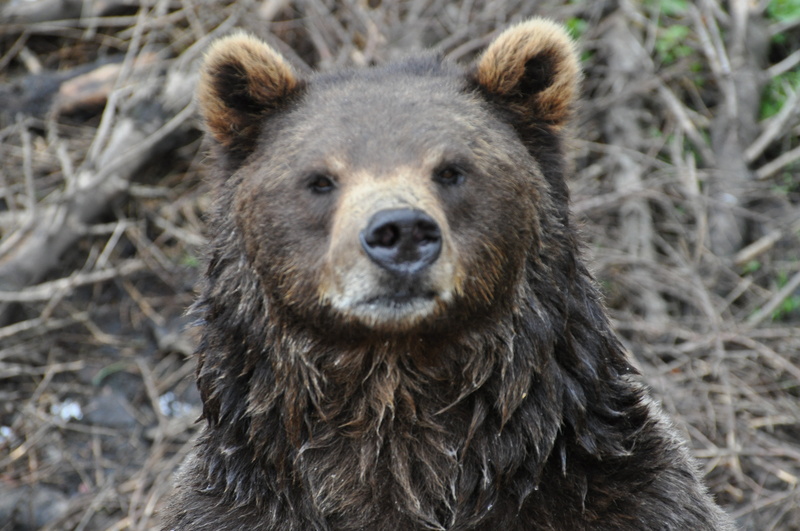 Meet the rescued Alaskan Coastal Brown Bears up close and learn their stories and how we save orphan bear cubs from certain death. See the Bald Eagles who are being rehabilitated so that they can go back and live in the wild. Find out about how Alaska has helped the Bald Eagle come back from near extinction. View other birds of prey including owls, ravens, and hawks. We have put together Sitka’s top five visitor attractions into one amazing tour! Let our local guides take you on one of the best tours of Sitka. Our 2.5-hour Sitka Scenic Tour – Premium package is the ultimate private small group excursion where you discover why so many visitors claim Sitka as the best stop on their Alaskan cruise. Let us show you our Sitka, a Sitka as unforgettable as the images you take home with you. On your shore excursion of Alaska’s most historic city, you walk among the towering totems and take a short walk along a salmon river in the amazing Tongass National Rain Forest. Make memories to last a lifetime as our local guides share with you a Sitka filled with amazing wildlife, incredible beauty, and unbelievable images. Let our guides tell you the story of the totems at the Sitka National Historical Park, visit rescued cubs at the Fortress of the Bears, see bald eagles up close at the Alaska Raptor Center, and hear stories of our incredible Sitka-by-the-Sea. Be sure to bring your camera and plenty of batteries and storage for once-in-a-lifetime shots you don’t want to miss! Escape the large, crowded bus tours some cruise ships offer and let our local tour guides show you Sitka in our 10-passenger Nissan NV vans. We wear wireless microphones so no one misses out on our stories. Thousands of cruise ship visitors come to Sitka each day in the summer. Seats are truly limited on these small group tours. Reserve your seat by purchasing ahead online.